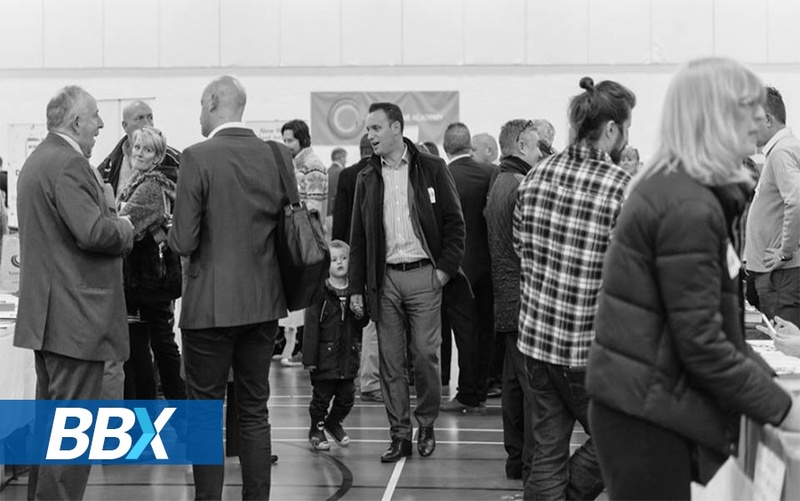 BBX UK hosted a trade show earlier in December at The Bourne Academy, Bournemouth. The event was a success, with a turnout of over 250 attendees and a transaction total of £160 000 exchanged between businesses. All this was done under the space of three hours, as well as the new relationships formed across the business platform. These figures make the trade show the Biggest & Best Complementary Currency Trade Show in the UK. A thank you and congratulations to all BBX members and staff who attended the event, as well as their families for making the event so successful. A further thank you to The Bourne Academy (venue), The Sandford Pub/Dorset Catering Services (catering), Piddle Brewery (beer), Skypro Productions (video productions), Hemma Mason (photography), Buzz MM (SMS marketing), Claremont Hire (table and chair hire), Printroom-Online (print material), BPE Signs (road signs), Concept Card (banners), Bayside Graphics (stickers), Embrace PR Ltd (PR) and Ian Erridge from Quay Social (social media). In addition thanks to Tudor Grange, The Rosscourt, Peveril House and any other BBX clients who provided accommodation for exhibitors and attendees. Your contributions are greatly appreciated.